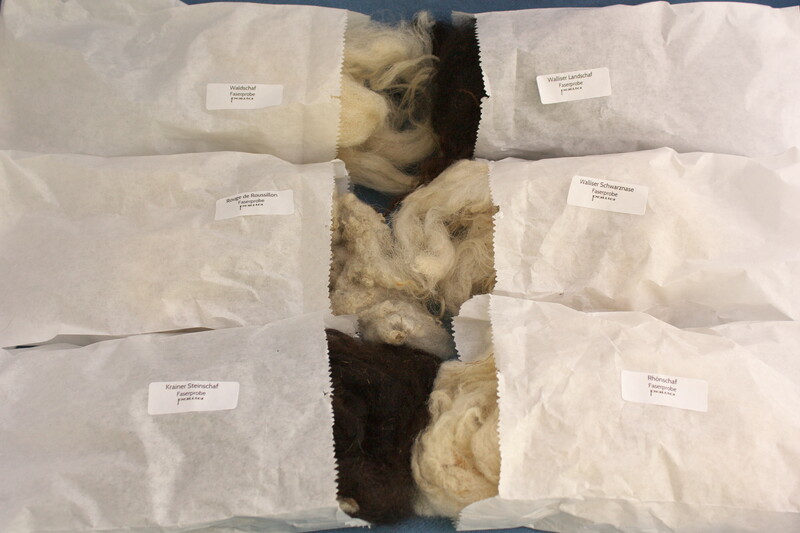 The sample pack contains wool from the rare old breeds Rhoen sheep, Valais Blacknose, Valais Land sheep, Bovec sheep, Rouge de Roussillon and Waldschaf. 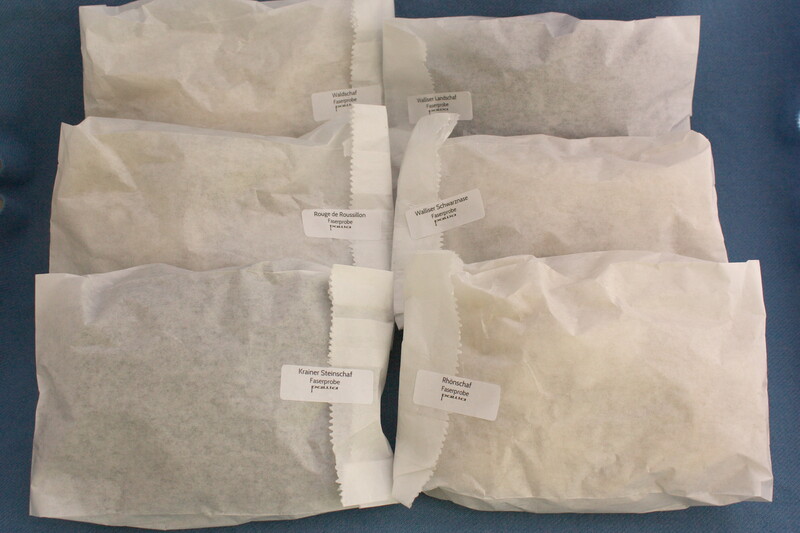 Fibre samples are packed separately in paper bags and labelled. Amounts and weights can vary, but minimum total weight is 90 g.